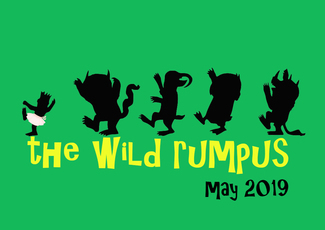 We are busy preparing for the 2019 recital, The Wild Rumpus! We ask that Parents/Moms from B2 through Studio Company volunteer BACKSTAGE so that the Pre/Primary/B1 parents are free to watch their dancer's only performance. Families with dancers in the recital are encouraged to volunteer for positions that take place BEFORE the show: ushers, ticket sales, ticket scanners, flower sales, etc. Parent volunteers should arrive at 10:15 a.m. Please plan to arrive at 10:30 a.m. Please arrive at 10:15 a.m. to set up for sales beginning at 10:30 a.m.
Must Have iPhone. Please plan to arrive at 10:15 to prepare for 10:30 arrival of patrons. Great for Teens! Please plan to arrive at 10:20 to prepare for passing out programs. Dads Preferred. Please plan to arrive at 10:15 a.m.
Will be working with Mrs. Erin Johnson. Please plan to arrive at 10:15 to be ready for 10:30 a.m. sales. Deliver flooring to Patuxent High the night before the recital. Though the time is listed as 6 - 7 p.m., we will work with our volunteers to arrange a time that works for all. Having a truck is very helpful! We need to roll up the dance floors and bring them back to the studio after our show ends. If you're able to help us load up and transport it back to the studio, that would be great! Having a large truck - and/or a helpful dad - is perfect!